My all time favorite sweet dim sum is Hong Kong egg tarts. I could eat as much as my tummy can hold. They are pretty, sweet and the texture is soft. My mom likes to make it as present for her friends. She says that it is easy to make but all this time I was so lazy even to think of making it my self. The last time I had this was at KFC down town. The taste was not so sweet and a little sour. I google a recipe from the internet and found that this can be made together with my daughter. She can help me pound the dough and mold them. Then help me batter the egg and the milk which she enjoyed a lot. It was holidays so I had to think of activities to keep her busy. She had a lot of fun and ate much after being baked. Mama, I’ve always wanted to make egg tarts! 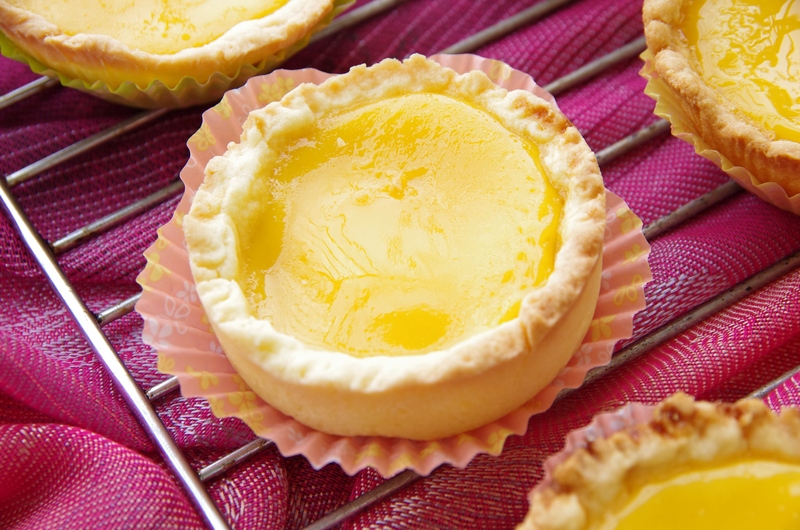 Yours look incredible, exactly like the store bought egg tarts. Very impressive!